One of the first things beginner guitarists learn are what we often call “strums” or “strum patterns.” These are, of course, rhythm patterns that keep the beat and create the rhythmic feel for the song. Most of us learned strums as a sequence of moves: down, down-up-down-up down. This is fine for getting started, but there’s a trap here that many beginners fall into. They think more about the strum direction than about the rhythm itself. Playing good rhythm takes more than counting and swinging your arm! You want to be able to feel the rhythm in your body like a drummer. Of course, we create the sound by moving that strumming hand, but the idea is for the hand to follow the rhythm you’re feeling instead of the other way around. What we’re really talking about here is a more sophisticated and subtle approach to rhythm, but it’s not hard to learn. The trick is to think like a drummer! This is a basic rock beat in its simplest form. The possibilities are endless, but most songs use some kind of variation on this basic framework. We can imitate this sound on the guitar by bringing out just the bass or treble strings. Try holding a simple G chord and alternating between the three bass and three treble strings, playing repeated downstrokes: low – high – low – high. This is using the difference in pitch to differentiate between the two sounds. We can also differentiate by using dynamics. Again using repeated downstrokes, alternate between a light strum and a heavier strum. Swing the arm further to create the stronger stroke. Just like with alternating foot-hand taps, low and high strings, or kick-snare hits, you’ll hear two distinct sounds. Good rhythm playing often uses both techniques of creating contrast - variations between low and high or soft and loud sounds – to create the sense of movement that drives a groove. 1. Accent the downstrokes on beats 2 and 4. 2. Accent the upstroke on the “and” of 2. Notice how the strums line up with the drum beats, illustrating both of the accent patterns you tried earlier. Bringing out counts 2 and 4 lines up with the snare drum, while bringing out the upstroke on the “and” of 2 lines up with the kick. Experiment with both variations over the drum track. This one is a straight-ahead rock beat, essentially a fleshed-out version of the alternating thump-snap exercise you tried earlier. It’s not all that different from the first drum groove, but the small changes make a big difference! Try playing the strum pattern and chord sequence you played for groove 1 along with this beat. It works, but you’ll probably feel like it doesn’t lock in quite the same way. Let’s try a different rhythm. This is straighter than our first strum pattern, a simple “one, two-and-three-and-four.” Accent the second and fourth beats to lock in with the snare drum! Notice how the small change in the rhythm makes it feel like a completely different song, even though the chords and tempo haven’t changed. Incorporating sixteenth notes does mean we need to be able to move the hand more quickly when we strum. This takes a loose wrist and a light touch; you should feel like your hand is lightly bouncing on the upstrokes. Again, notice how the rhythm matches the accents in the drums, both the kick and snare. You might also notice how the percussive sound of the pick hitting the strings works with the drummer’s hi-hat. What’s the significance of all this in the big picture? For one, it should make your rhythm playing more dynamic and driving. When your strumming feels like a drummer on a kit, it’s going to get people moving! It should also make you better at playing with others. If there’s a drummer, you’ll be able to “lock in” and be a solid part of the rhythm section. If there isn’t, then your guitar fills that role. If you’re a songwriter, this concept should be huge! If you write songs with “campfire strums”, then thinking about drum grooves should open up a world of new possibilities for you. The bottom line is, the guitar is a percussion instrument, especially the acoustic guitar! Treating it like one will make you a stronger rhythm player, a more effective ensemble player, and an overall better musician. For more on this concept, check out my lesson on JamPlay called “Like A Drummer.” Happy grooving! Learn how to create motion and percussive interest with your strumming. If you look at and listen to how drummers accent general grooves, there is a lot of insight there in to how to make your rhythm playing groove. Weekend Warriors save on a full JamPlay subscription. Get our entire lesson library, live courses, teaching tools and more. Thanks for reading! Have fun and be sure to leave any questions or comments you might have in the comments below! In a community full of world-class musicians, Dave Isaacs is known around Music City USA as the “Guitar Guru of Music Row”. 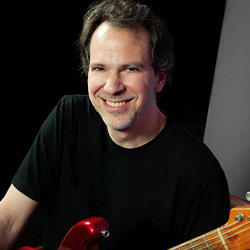 The New York native has called Nashville home since 2005, and has built a reputation as an ace guitarist and top teacher, mentor, and musical coach. Dave has helped countless aspiring and pro musicians, songwriters, and performers expand their musical knowledge, improve their performance skills, and achieve dynamic new levels of success.